The stars of The CW show appeared at SDCC when they made some comments about Supercorp that the fandom are not happy with. I want you to know how much I love you. Yes, you. Yes, you too. And you. That's all, kids. U guys. I love u. I was wrong and I'm sorry. You're all amazing and valid. Some fans of The CW's Supergirl TV series have been left angry this week after the cast seemingly dismissed one of the show's most shipped female/female pairings. The show has been at the forefront of LGBTQ representation on screen, with the portrayal of the relationship of Alex and Maggie gaining huge amounts of praise from fans and critics alike. But then, there is also the often shipped pairing of Lena Luthor and Kara Danvers, given the ship name Supercorp by fans who, while not a couple on the show, have attracted much discussion online. "THEY’RE ONLY FRIENDS! THEY’RE ONLY FRIENDS! They’re not gonna get together, they’re only friends!" Jeremy went on to say that he had just "destroyed Supercorp" with co-star Melissa Benoist replying that "it was brave". 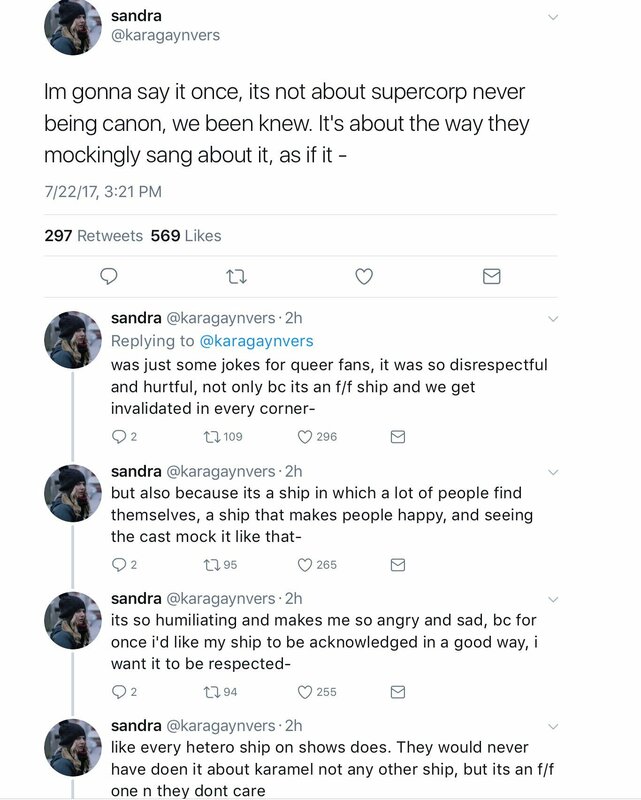 And while some have argued that the cast were being lighthearted and that Lena and Kara are not an onscreen couple, it is also true that shipping and an alignment with the LGBTQ community has been central to the show's success, so an easy dismissal of these dedicated fans was never going to go down well. She was praised online for the move but emotions still appear to be raw among the fandom. "I absolutely emailed Melissa’s publicity team, her agents, and her managers, buuuuut someone is in fact on vacation so at least one is out of the office until the 25th. Even so, I sent it to a handful of others and I’m posting it because I want to do right by all of you. 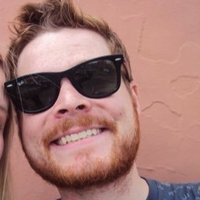 I attached some screenshots of quotes that I had permission to use that aren’t pictured here, and the email addresses of Melissa’s representatives were attained professionally. I hope this message is well-received because I think that as a community wlw deserve a lot better than what our Supergirl showed us today." I will not undermine your feelings or those of anyone who took issue with what you’ve perceived to be offensive. However, as an activist, it’s very important that you take a step back before inflicting public scorn. As a role model, it’s incumbent upon you to shape your understanding and engage in meaningful and respectful dialogue based on fact and motivation, and not just on whether your feelings were bruised. 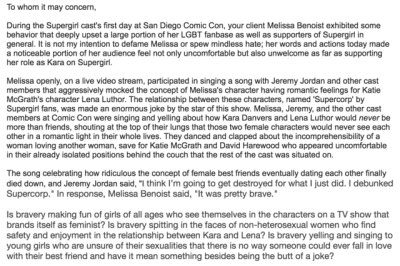 You cannot fairly denounce Melissa or Jeremy or the cast for what they DIDN’T say. You cannot fairly characterize their verbiage or actions as “aggressive,” on the contrary. They were having fun in a riff session and hardly at the expense of the LGBT community. You cannot fairly assume or rationalize why David Harewood or Katie McGraff didn’t participate so to substantiate your argument. To enter into a sensitive debate, you have to be really careful about making baseless claims based solely on emotion. Chloe: neither Melissa or Jeremy or any of the cast members marginalized any individual, regardless of orientation, by saying “Kara and Lena” are just friends. They didn’t say “can’t be friends” or “shouldn’t be friends” OR remotely imply that “two female characters would never see each other in a romantic light in their whole lives.” Then you take it one step further to accuse them of declaring “the incomprehensibility of a woman loving another woman” and “blatantly made a mockery of non-heterosexual women.” It’s wholly irresponsible to publicly admonish anyone, as you have on your social media platforms, and I mean anyone, for such a broad and unsubstantiated interpretation of the S2 recap. That, Chloe, is actually the definition of defamation. Allow me to also clarify for you that other than Melissa who MTV brass placed next to host Josh Horowitz, the cast seated themselves. As did all 13 casts of films and television shows that I guided through MTV. Unless David and Katie said they felt “isolated” in their positions in the back, I would recommend you walk back these statements as well. There are gross injustices globally of the LGBT community. This was not one of those occasions. You may feel slighted because the creatives behind the SG series didn’t lead the Kara-Lena relationship in a direction that would have made you happy and proud in S2. You cannot therefore accuse them of being anti-gay. If Josh Horowitz instead engaged in a serious Q&A with the cast as to why they didn’t take that path and Melissa, Jeremy and the cast responded “Kara cannot be in a relationship with Lena because she’s SUPERGIRL” then I invite you to protest loudly and with far more aggression and passion than what you perceived from the cast yesterday. You’ve indicted people who are genuine ambassadors of acceptance, compassion and equality and have proven as much, not on only Glee but on SUPERGIRL and in their own personal lives. As you continue your mission to right the wrongs in society and especially those inflicted on the LGBT community, I highly recommend you postulate your arguments soundly. Thank you Chloe for reaching out. This, of course, only fueled the online debate further. It remains to be seen whether any additional statements will be made before the new season of the show kicks off this Fall. What do you guys think? Are the fandom owed an apology? Let us know in the Facebook comments.